Mykki Blanco’s Toronto-based tour DJ shares a dreamy collision of global club tracks — and a family recipe for ackee and saltfish. Perhaps one of the purest joys in covering local music is watching a young artist come into their own. Bambii is an emerging talent from Toronto, a DJ who has bypassed aux-cord wielding scenesters by always allowing her musical curiosity to dictate her sets. In the days following the release of Drake's Nothing Was The Same, when all anyone wanted to drink to was "Worst Behavior," Bambii didn't relent. She'll only play a song if she loves it herself — or if there's a remix that's hotter. This insistence on instinct sets her apart from other young DJs, particularly in Toronto — a city that's not particularly musically adventurous — but also beyond, as Mykki Blanco's tour DJ. 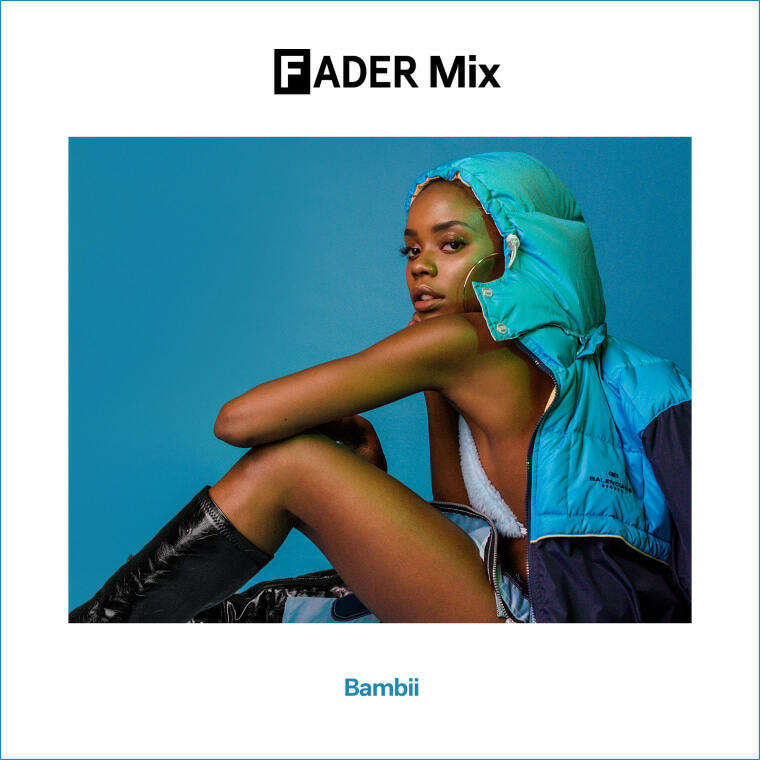 So while listening to Bambii's brand new FADER Mix you might find yourself with a brand new appreciation for Migos's "Bad & Boujee" courtesy of a thrilling, "Afrostep" edit by New York City duo mOma+Guy. She slides that in between lusty, pulsing, percussion-driven house, a sound that ultimately defines this mix and the goal of her sets: to get people dancing again. Right now I'm in my apartment. It's Sunday so it's pretty quiet in here and dimly lit. This mix features artists I know personally and a lot I've never met. It's been influenced by my recent traveling and is an attempt at connecting all the very different kinds music I've been exposed to. Lately I've been feeling very aggressive about pursuing my dreams, the terrible current geo-political climate, and my personal life — some of that comes through too. I like to think that listening to music from far places or people you've never encountered might encourage you to explore. I don't know the context but hopefully people are thinking, dreaming, or loving while they are listening. Today is Valentine's Day. How do you like to spend Valentine's Day? What was the best part of touring with Mykki Blanco? The best part about touring with Mykki Blanco (even though there was a million things) was the focus it gave me. Touring takes you away from your home and everything else is left on pause. A lot of the time I think artists reach goals and right away think about the next big thing. Playing shows with an artist I truly respected, for crowds that were so diverse, really made me grateful. I saw so much and then became obsessed with each little moment because they all felt meaningful. Even though we are all trying to get to whatever the "top" is, it's important to really fully appreciate what's in front of you. The First Bad Man by Miranda July. The main character is a neurotic and very lonely middle aged woman whose life is pretty mundane and severely structured until she falls in love with a younger woman whose problems sort of provoke and change her. The best part about the book is the characters' quirky idiosyncrasies and the very all-encompassing way July has written a female character. Often I find that amount of intricacy reserved for male characters so it was refreshing. Also, the book is funny as hell. One of my favorite dishes to cook is ackee and saltfish because it's kinda tedious and also because it reminds me of my great-grandmother.